On Wednesday, May 31st (until Sunday, June 4th, from 11am to 7.30pm) the Theatre Hall is the setting for the “Ideas lab”, the second anniversary of Promised Lands, the international project promoted by the Civic Theatre School Paolo Grassi, aiming at exploring the phenomenon of migration from the point of view of the evolution, whose development we are witnessing on a daily basis. We think it’s necessary that the theater takes care of it, as a vehicle of knowledge and reflection. Metropolis, title of the 2017 Edition of Promise Lands, is directed by Giampiero Solari, Director of the Civic Theatre School Paolo Grassi and realized together with Centro Culturale Zaharada (Banska Bystrica) SLOVAKIA, Continuo Theatre (Prague) CZECH REPUBLIC, UNATC “I.L.Caragiale” (Bucharest) ROMANIA, Theatreakademie August Everding (Monaco) GERMANY, Institut del Teatre of Barcelona (Barcelona) SPAIN, in collaboration with Goethe – Institut Mailand in MILANO together with the supporting associations Associazione Dynamoscopio (Milano) ITALY, Centro di Accoglienza Straordinaria Centro Foyer (Pavia) ITALY, EMERGENCY. 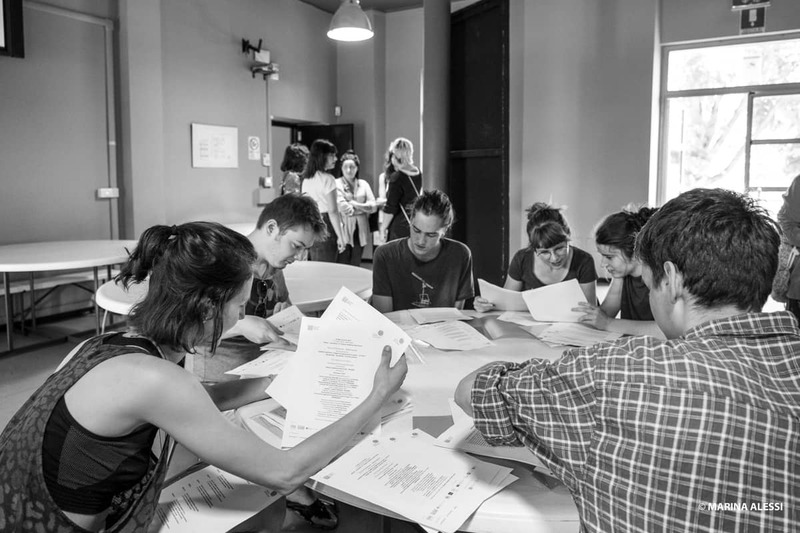 Metropolis declines in different moments aiming at writing and staging unique original acts on the subject of migration: young international artists, playwrights and directors from the European institutions involved work out original dramas (alongside tutors and senior drama teachers) staged by directors of the same schools but not from the same countries. In the realization stage, we work with mixed casts (dramatist and director of different nationalities to whom a set/costume designer is associated). 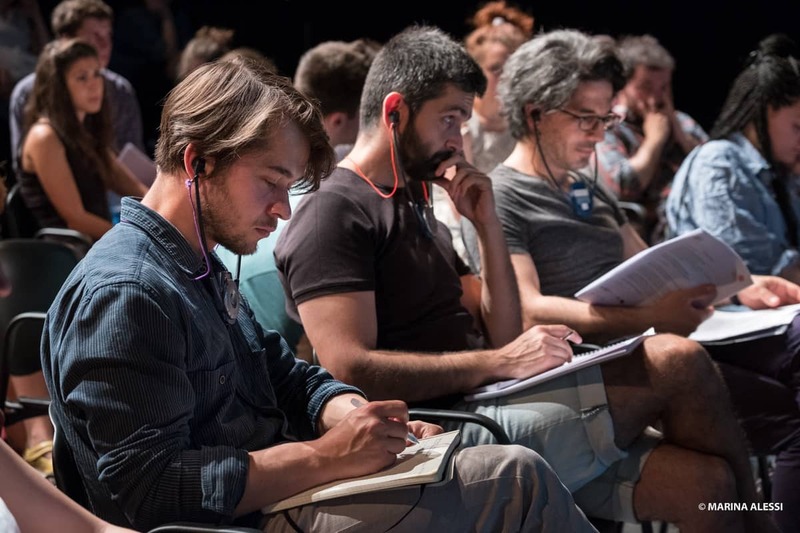 The texts, all translated into Italian, are featured with professional actors selected through a call. 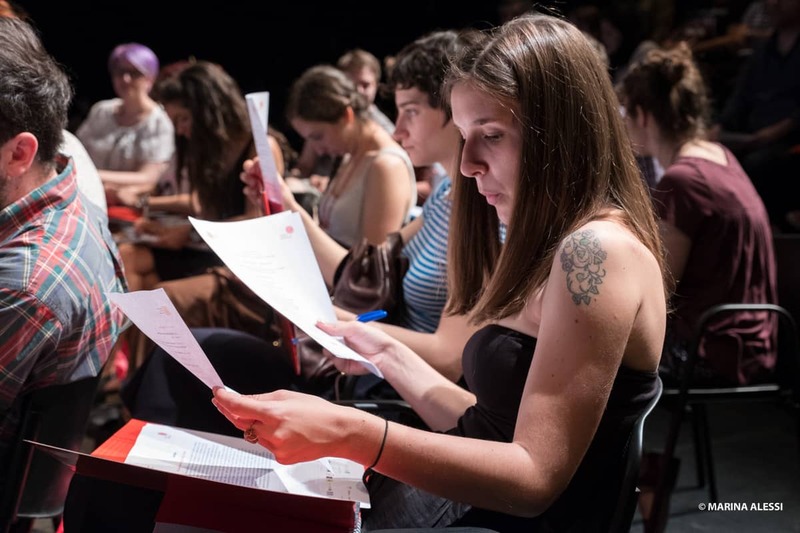 Participants in the project, directors and playwrights are invited to Milan for a further two-week work in October 2017, a time when the performances are performed. 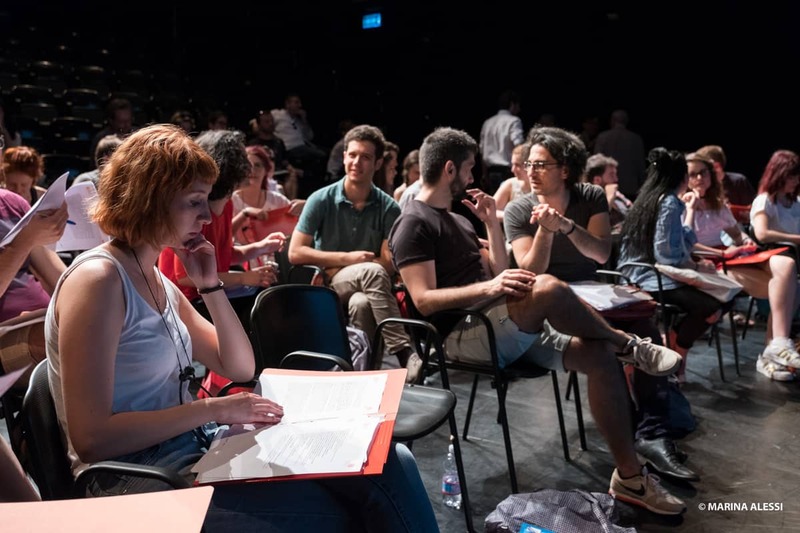 The beginning is May 31 with the “Ides Lab”, five days of preliminary work, in which all participants (tutors, directors, playwrights and a “senior” dramatist from different countries) meet in Milan in the Theater Hall of the Civic Theatre School Paolo Grassi. 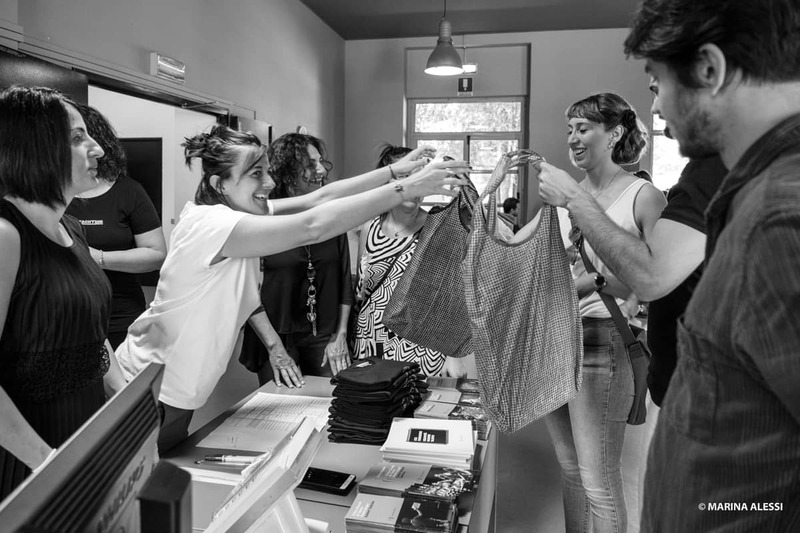 During the five days, through many different types of skilled work, we deeper analyze the issues and during the working tables we begin the journey towards creating new texts and new outfits. The aim is to have a moment of confrontation, gather information and debate on the topic with the contribution of representatives of the institutions, members of the associations involved directly in the phenomenon management and professionals of other fields (town planners, journalists, photographers and artists who have dealt with the Theme in their work) to face the creative part with the widest possible views and information. 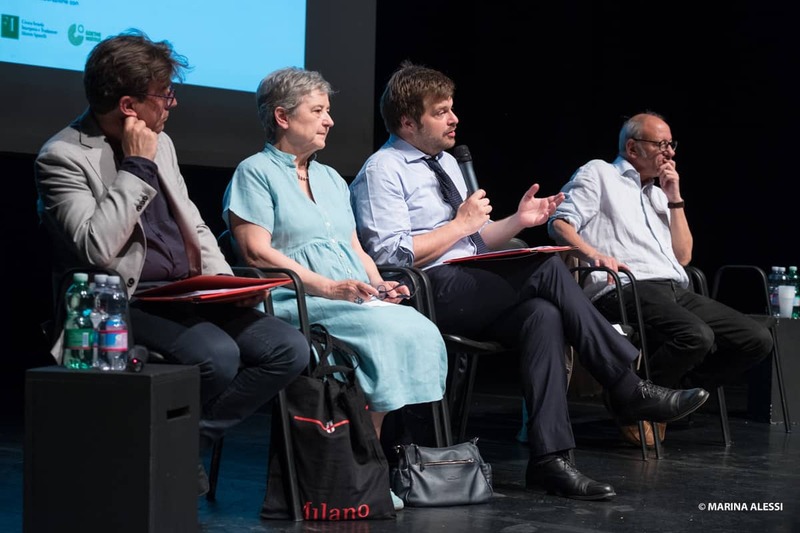 From Wednesday 31 May to Friday 2 June, during three days open to the public, leading figures on the issue of migration, have been invited to speak in depth and to make their valuable contribution.